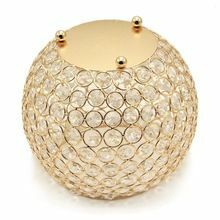 Packaging Details : Box With Safe Packing. 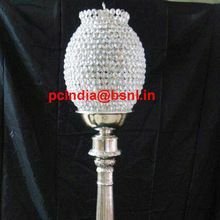 Standard Export Packing. 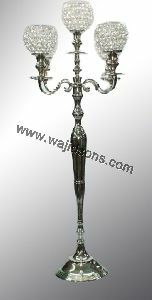 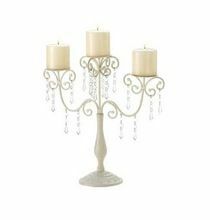 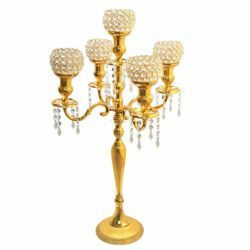 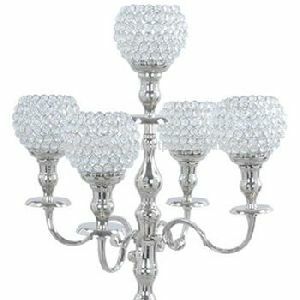 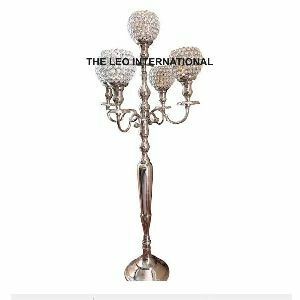 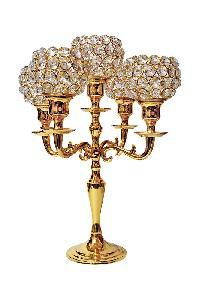 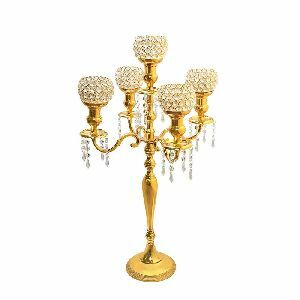 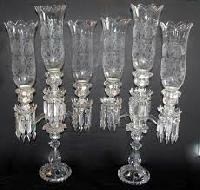 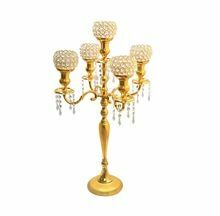 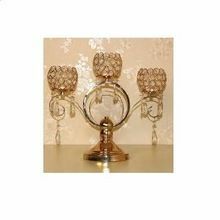 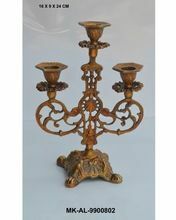 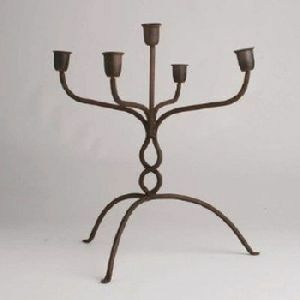 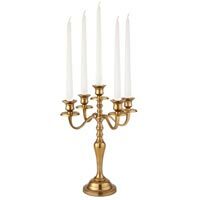 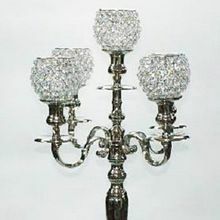 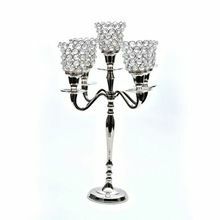 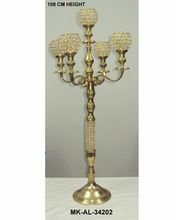 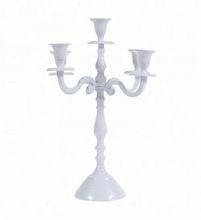 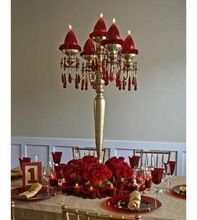 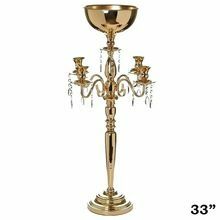 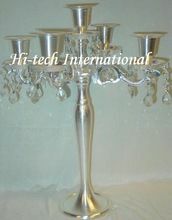 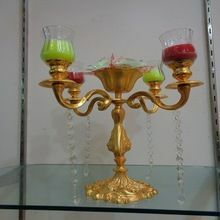 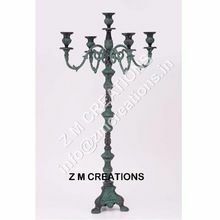 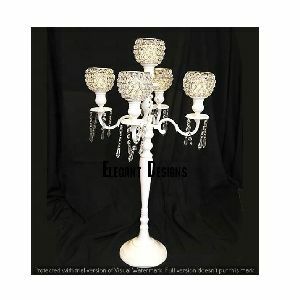 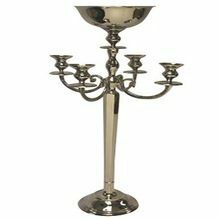 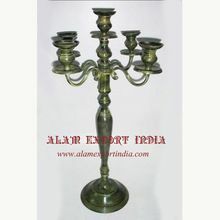 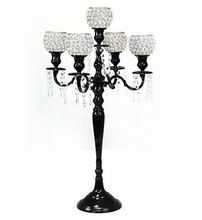 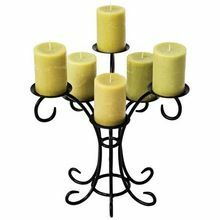 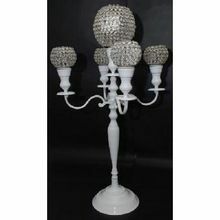 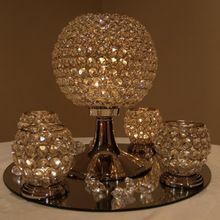 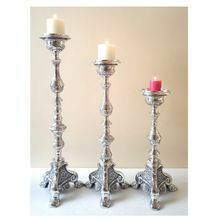 5 Arm Gold Candelabra with Crystal Votives and Dangles : Model No.